If you've been looking for someplace to order Troy-Bilt Parts, you've come to the right place. The Replacement Commercial Parts Warehouse has the largest selection of genuine Troy-Bilt lawn mower parts with over 1.2 million parts online. We can help get your mower or Troy Bilt snowblower up and running in no time. You can save big when you order from RCPW because we offer huge discounts from the box stores and local dealers when you order your replacement Troy-Bilt parts on our website. We carry both OEM and aftermarket parts to fix your equipment quickly and save your wallet. Are you not sure which part you need? Give our friendly sales staff a call at 800-937-7279 or use our online Troybilt parts lookup to find the right part to get your lawnmower, snowthrower or tiller working like new again. Not sure what you're looking for? 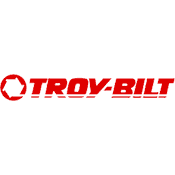 Browse all genuine Troy-Bilt parts here.